The world of Batman ’66 is whipped into a frenzy over the finally-it’s-here announcement of the animated Return of the Caped Crusaders — and I was able to chat with Burt Ward and Julie Newmar about it. I asked Burt right off what it was like to return to his signature role after 50 years. “Well, I never really left it,” he said over the phone from California. “Remember, I’m out making appearances every year in front of thousands of people, talking about the subject. So … the only thing different was recording. But being Burt Ward, the man who runs his own specialized dog-food company — Gentle Giants — and being crime-busting Robin the Boy Wonder are different, aren’t they? “I just know it intimately,” he emphasized. “It isn’t what you might think it is. It wasn’t so cerebral. It’s simply… the character was me. I wasn’t playing some other character. When they hired me (in 1965), they said, ‘Burt, the reason we hired you was because if there really was a Robin, we would believe you would be it. So we don’t want you to, quote, ‘act,’ we just want you to be yourself and be enthusiastic. “So, that’s what I did. I don’t ever get away from myself, so to speak. Every day, you get up, you look in the mirror and that’s yourself, y’know? Newmar said that recording her lines was different from what she’d grown accustomed to as a live-action actress. But she liked the experience. “Well, they wrote a delightful script,” she said. “It’s funny and they brought in a lot of the villains to spice it up. UPDATED 8/31/16: For an hour-long interview with Burt Ward on The Batcave Podcast, click here. 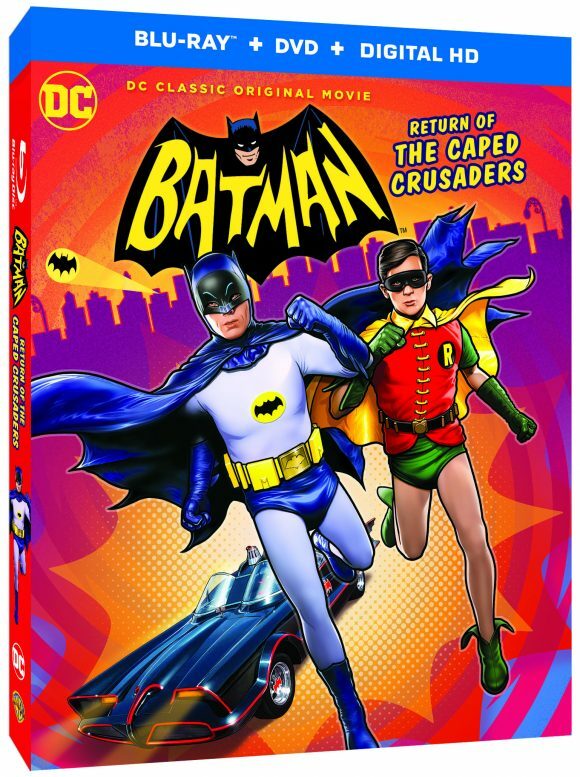 Batman: Return of the Caped Crusaders will be available 11/1 on Blu-ray and DVD. It will also be available for download 10/11.